Creating high quality GIFs in seconds is a great way to make live video shareable on Twitter, but many people don’t know how to do it. A perfect example of when this might be useful is for when events are unfolding live; be it a police chase, the State of the Union or a gadget unveiling. By being able to stream a video and quickly create GIFs from that video, it means there’s a shareable moment that others can join in with. 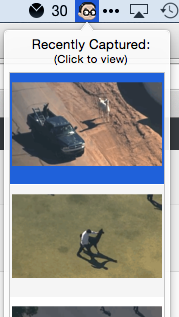 By creating GIFs as the llama chase unfolded, it let everyone participate in the live stream and re-share the best parts with their friends. 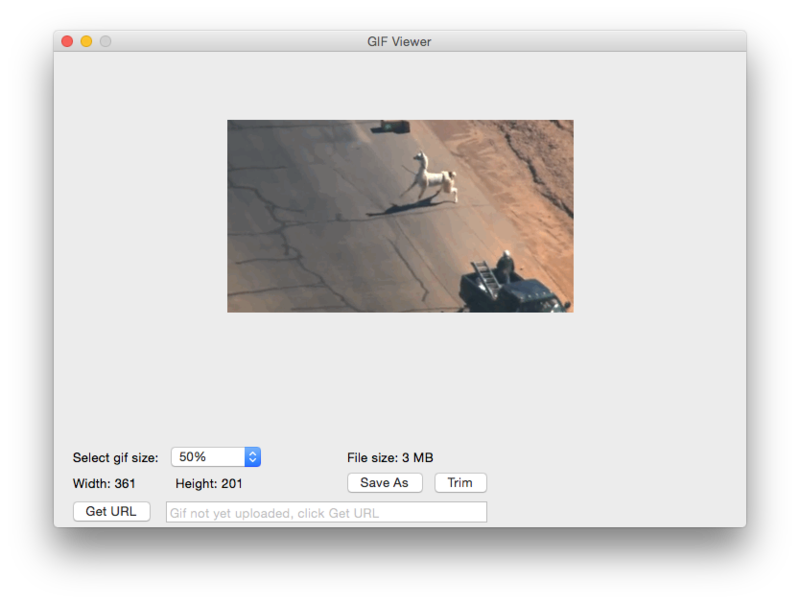 Creating these GIFs is actually shockingly easy for OS X users through a free a piece of software called GIFGrabber. This lightweight app provides a target zone for your captures and makes it as easy as resizing that zone and hitting ‘capture’ to grab a high-quality GIF. 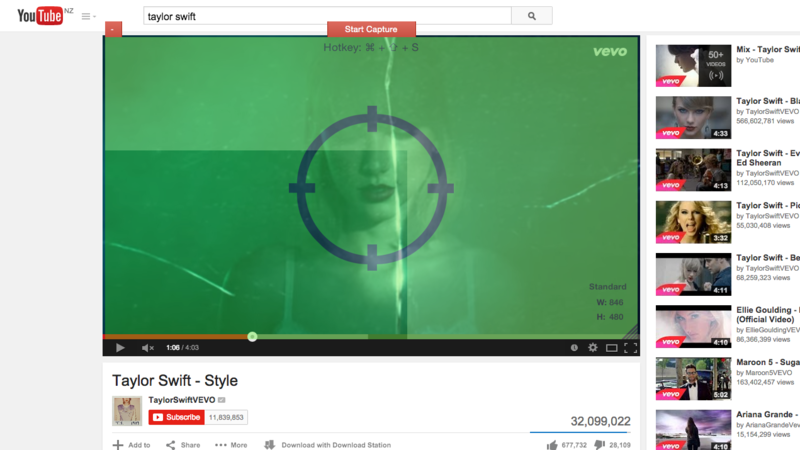 When you’re watching a live stream or video, you just need to position it over the top of what you’re watching and keep your trigger finger ready for capturing. GIFGrabber offers up to thirty seconds of recording, but it’s important to remember that the more you record, the larger the file gets. Unfortunately, Twitter has an arbitrary limit of 3MB for uploading GIFs right now, but GIFGrabber makes it fairly easy to fit inside that size. Once you’ve recorded a GIF, you can click the app’s icon in your menu bar and pick the GIF you just recorded to get some editing options. From these options you can edit the length of the GIF and the actual size. 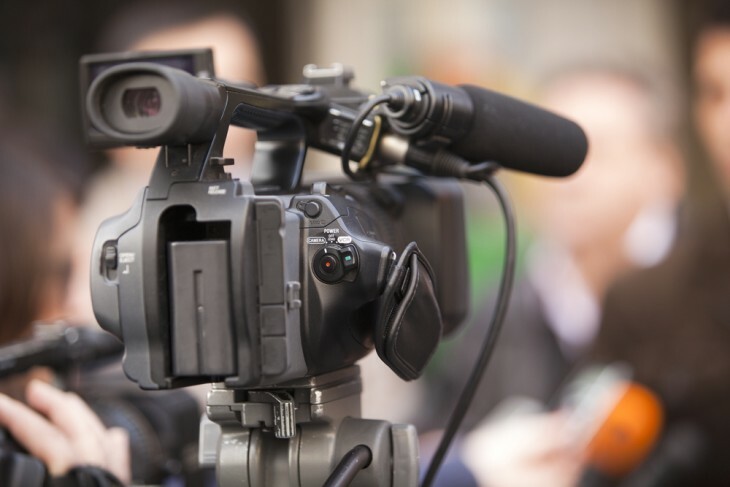 The size of the file depends on two major factors; how long you captured for and how large the video was. It’s often best to trim any unneeded frames off the recording for a good GIF, which saves a decent chunk of size. To make it fit on Twitter, generally a 10-second or less image is preferable and you’ll need to downsize it by 50 percent in many cases. Once you’re done here you can save the GIF to your computer and drag it onto Twitter for quick uploading. The result looks something like the below llama GIF, now immortalized forever. Once you get the hang of it, this is the absolute fastest way to create a high-quality GIF and share it online without any hassle. Windows users reading this, don’t fret. There is a piece of software for you, it just isn’t quite as streamlined as GIFGrabber. Licecap, also available for free, can quickly create GIFs from screen regions on Windows devices. Now that I’ve shared my special GIF sauce with everyone, I’m hoping to see thousands more online thanks to just how easy it is.